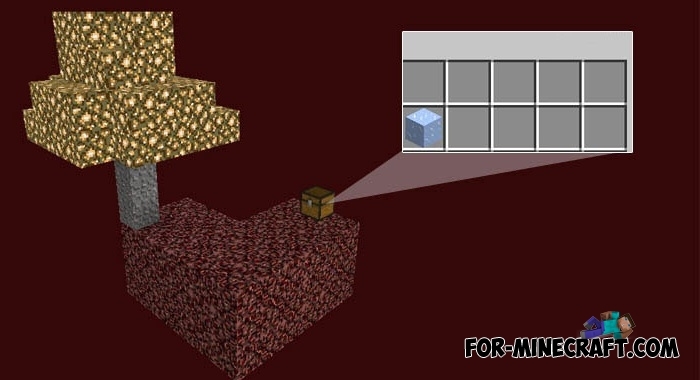 SkyBlock is among the most difficult survive map for Minecraft PE. In this update, in your possession will be overworld, which you can explore. To go to hell, you need to build a portal. But it is not so easy, because for that you have to search different resources. First look at the chest, and missing resources can be extracted on the island. But the most important thing is not to drop or craft unnecessary items.